Relative Stability of Cannonical St.
E-Z Nomenclature, Properties of G.I. Mandeelev P.T. & Mosley, Modern P.T. Rishi Kumar is a topper student throughout his student life. He completed his B.Tech. in year 2008 in Aerospace engineering from IIT Kanpur. 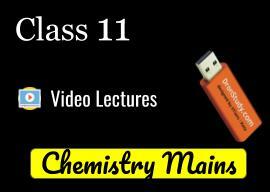 He is providing best teaching facility in chemistry for IIT-JEE and medical preparation & is a well known teacher of Chemistry at Patna for JEE main & advance, NEET and other competitive examinations.